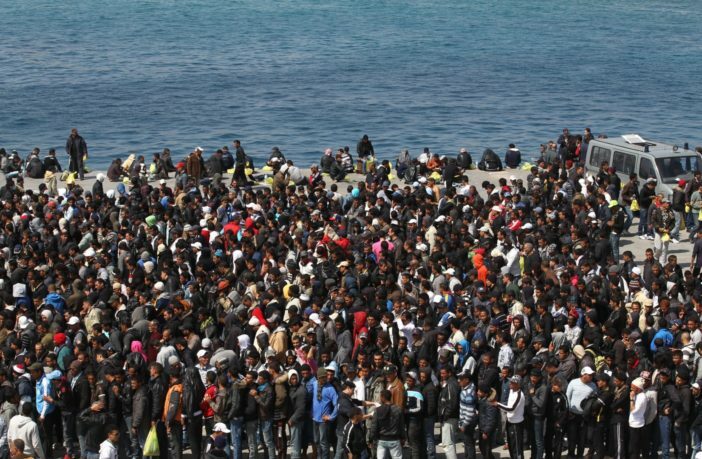 Muslim migration, conquest by demographics, also known as hijrah, is what needs to be stopped and reversed, entirely. Given the Muslim migrant chaos that has rocked Europe, Szijjarto’s words make good sense, for the migrants and for Western host societies, for which integration has generally proven to be a big failure. Westerners need to ask why Islamic countries — especially those rich in oil — have not opened their doors to aid their brothers and sisters in Islam? It is because countries such as Turkey, Saudi Arabia and Iran are big exporters of jihad and the jihad ideology. The expansionary imperative that is ingrained in that ideology is being fulfilled through the Hijra. It is up to Western countries (i.e. the citizens) to save their own civilization by voting out corrupt globalists at election time. International efforts should focus on helping people living peacefully in their homelands rather than trying to legalise illegal migration, Foreign Minister Peter Szijjarto told a United Nations intergovernmental meeting in New York on Monday. “Migration should not be managed, it must be stopped,” Szijjarto told the meeting dedicated to the UN’s global migration package. Hungary rejects the position that migration is good, because “it is bad for those that are forced to leave their homes, it is bad for transit countries and it poses a challenge for destination countries, too,” he insisted. Migration is not a fundamental human right; living peacefully and in good conditions in one’s homeland is, Szijjarto said. He added that protecting borders is “not an option but a responsibility” for countries. He added that when people are forced to leave their homeland, they should be helped to “stay as close as possible and once the conflict is over, return home”. Hungary “attributes great importance” to the discussion on the global migration package, because the decision to be made will “determine the future of our children and grandchildren for the long run”, Szijjarto said, and pointed to “some fundamental questions such as whether we want security and order”. Szijjarto insisted that Hungarian voters had “clearly expressed their position” on migration in a national survey and in the April 8 national election. He added that his government’s “number one goal” is to ensure security for the country and its people…. It is up to Western countries (i.e. the citizens) to save their own civilization by Removing and Permanently “incarcerating“ corrupt globalists ASAP !! !